Hockey fans were treated to 4 Game Seven games... over a span of 25 hours… get some sleep guys. All 3 division winners in the Eastern and Western Conference advanced. 14 games in the first round went to overtime. 12 goalie changes took place during the 1st round games with a total of 24 goalies making appearances... The Flyers had 3 goalies start for them and still managed to beat Buffalo. In the first 8 games, there were 4 shutouts recorded - since those first 2 days there were only 5 shutouts in the next 41 games. 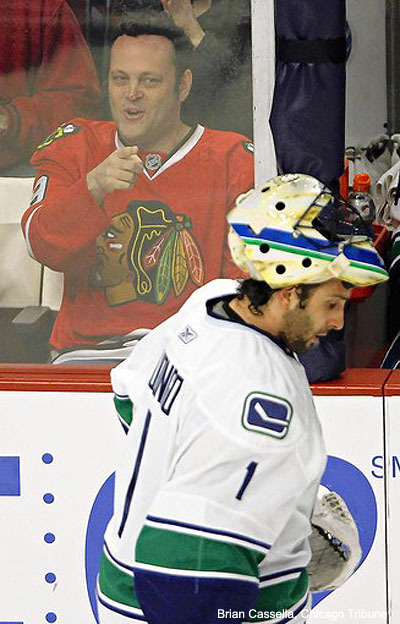 The highest attendance during the first round was Game Six of the Vancouver/Chicago series in Chicago - they managed to squeeze 22,014 into the Madhouse… we're not sure how many seats Vince Vaughn needed. The top four goal scorers had excellent pitching records (goals-assists): Teemu Selanne (6-1), Daniel Briere (6-1), Daniel Sedin (5-2), and Thomas Vanek (5-0). Claude Giroux was very unselfish - leading all skaters with 8 assists and 1 goal. Kimmo Timonen led all skaters in plus/minus rating with a +9; Thomas Vanek was already working on his golf swing and finished with a first round low of -6. Dan Girardi was second in blocked shots with 26 through 5 games… Eric Brewer led with 27 blocks in 7 games… the Secret Service should really hire Girardi to protect Obama. There was 3 shorthanded goals scored in the 1st round - most notable was Jonathan Toews' beauty in Game Seven with 1:56 left in the 3rd period to force overtime. James van Riemsdyk led all shooters with 43 shots, 8 more than the next guy. 5 starting goalies had GAAs above 3.00; Antti Niemi had a 4.00 GAA, but his Sharks still advanced to Round Two. Boston became the first team to win a series without scoring a powerplay goal (0 for 21) in the series since 2003 when the Anaheim Ducks were Mighty and beat the Detroit Red Wings. Mark Recchi at age 43, became the 3rd oldest player to score a goal in a Game Seven playoff game… 2nd is Chelios at 45, and 1st is obviously Gordie Howe at 52 years young. Pittsburgh Penguins had the most time on the powerplay out of all the teams in Round 1 with 58:51 - but only scored 1 goal with the man advantage… we think they missed Sidney Crosby. Vancouver through their weight around at Chicago with a playoff leading 281 hits, the next closest was the Penguins with 222. Many have already said it, but we want to know what you think - was this the best first round of the Stanley Cup Playoffs ever? It has to be up there, doesn't get much better than two Game 7's going to Overtime. I was so happy to see Toews score that goal... even though they lost, Henrik Sedin could really learn how to be a captain like that. All heart. I can't remember a better first round of hockey. Even with injuries, all the series were exciting to watch and they all had their own flair to it. My favourite series was the Vancouver/Chicago series that was pushed to the brink in overtime of game seven. Roberto Luongo beat his demons that night. Teemu Selanne better play another year. Great player and had an awesome season. 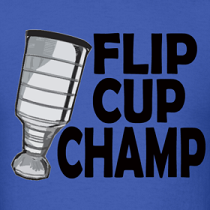 Brad love that you are following the NHL playoffs and Dirty Dangle from Australia. How are you watching the games? I'm doing the same thing Brad from the UK! Vince Vaughn was a pretty good looking guy before he got all fat.